On today’s show, we hear an interview with Ira Shapiro (author and international trade lawyer) about the deterioration of congress as a check on presidential power. 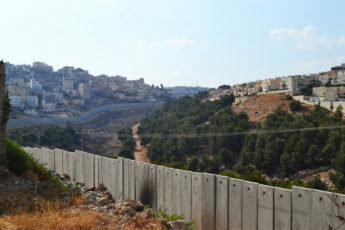 Then, we talk with Ali Abunimah (co-founder of The Electronic Intifada and author of The Battle for Justice in Palestine) about the new settlements that the Israeli parliament has approved in the West Bank. We also get an update on Standing Rock from Antonia Gonzalez (member of the Navajo Nation, anchor and producer of the award-winning and nationally syndicated radio program National Native News (KNBA)).